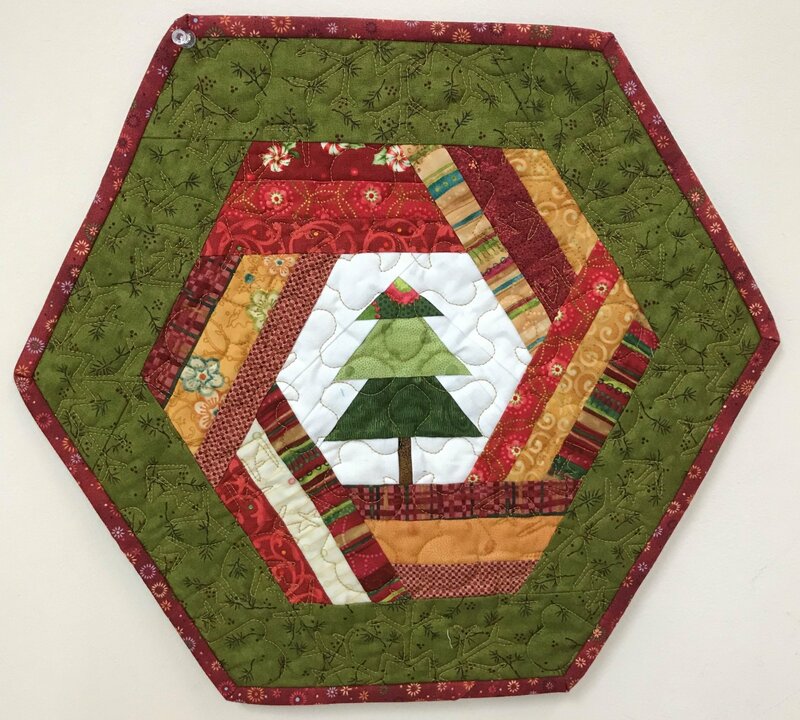 The Hexie Holiday Placemat is a wonderful seasonal project and you will love it on your holiday table! This class is part of our “Christmas Club” series this year with a holiday project offered each month. This placemat is easily made using a foundation paper piecing method and adding some simple patchwork borders. We will make one in class and you will have plenty of time to make lots more before Christmas!